A ravishing ring set is just the ticket to revitalize any jewelry collection. 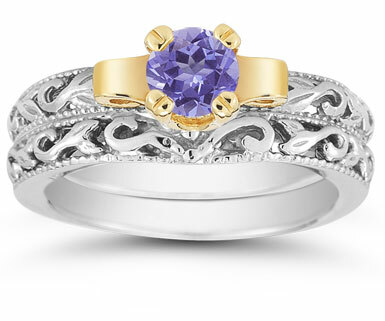 This tanzanite set from Apples of Gold easily takes on the job with its beautiful purple stone. The 5mm tanzanite gemstone is mounted an alluring yellow gold that showcases two coils of gold. The white gold bands make a statement as well, with art deco embellishment that displays artisan-like skills. The milgrain edging on each ring encompasses the design and completes this art deco ring set. 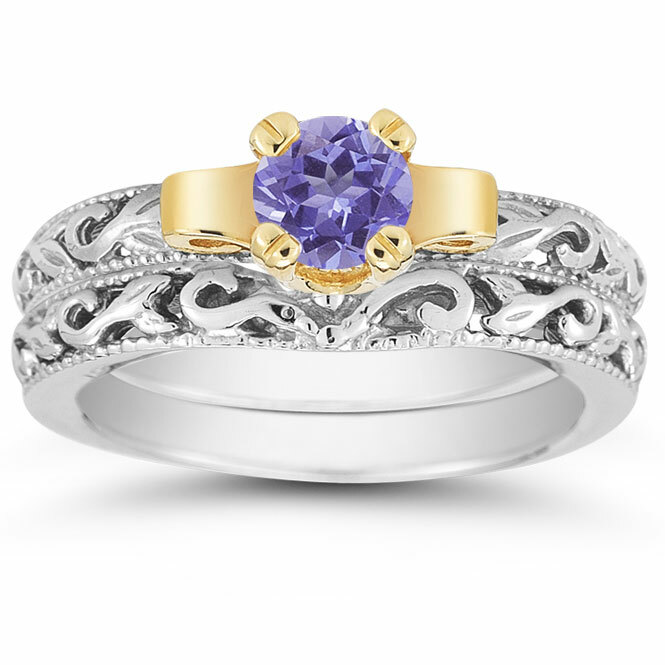 We guarantee our 1/2 Carat Art Deco Tanzanite Bridal Ring Set to be high quality, authentic jewelry, as described above.